​This programme is our most popular as it fully addresses the Australian Burden of Disease Study and maximises your investment dollar. 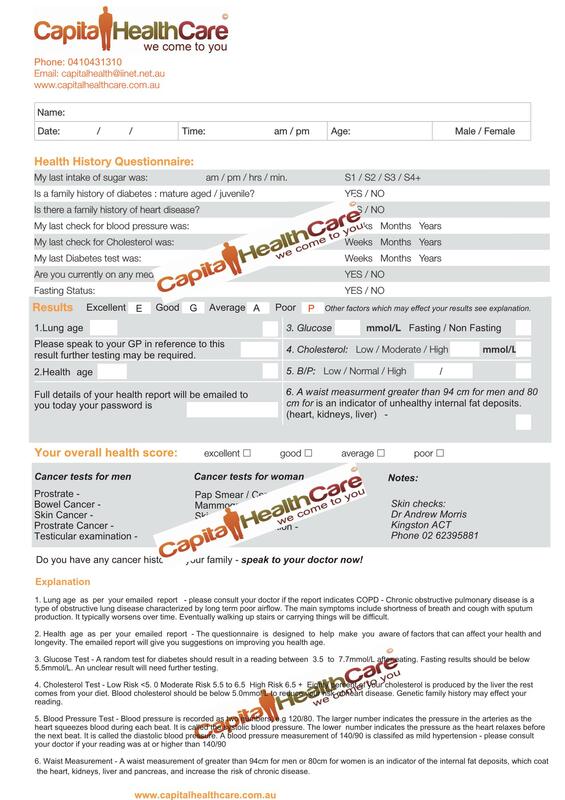 Results are instant and a full health profile is securely emailed. Predicted health age and lung age are also given on completion. 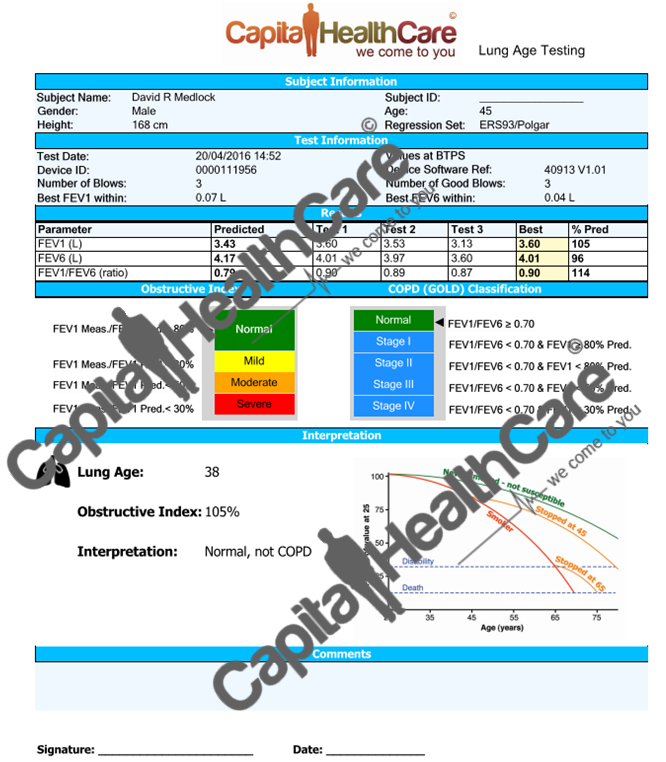 An analytical health report is also provided for your people support team. Note: Pricing is a guide only if you have more than 100 staff discounts may apply. 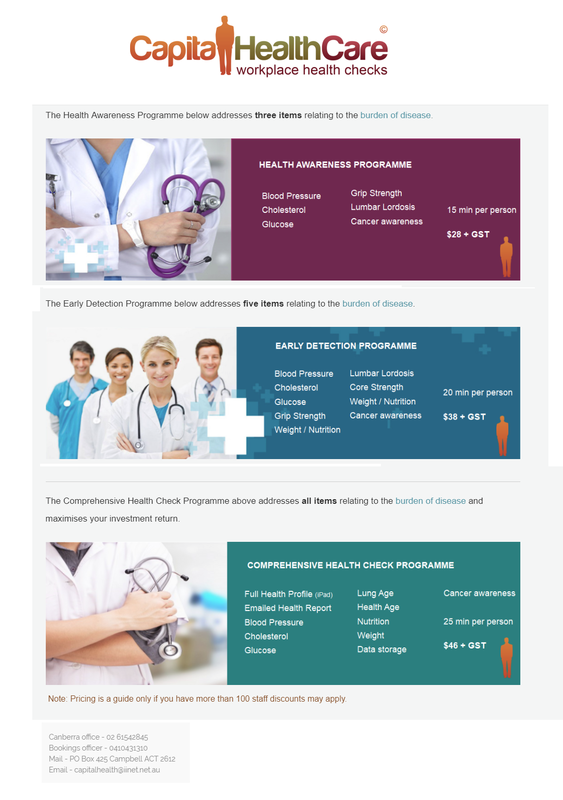 ​In this detailed programme we produce a full health profile by collecting the following health data. This programme uses one of the most advanced lung age testing systems in Australia. 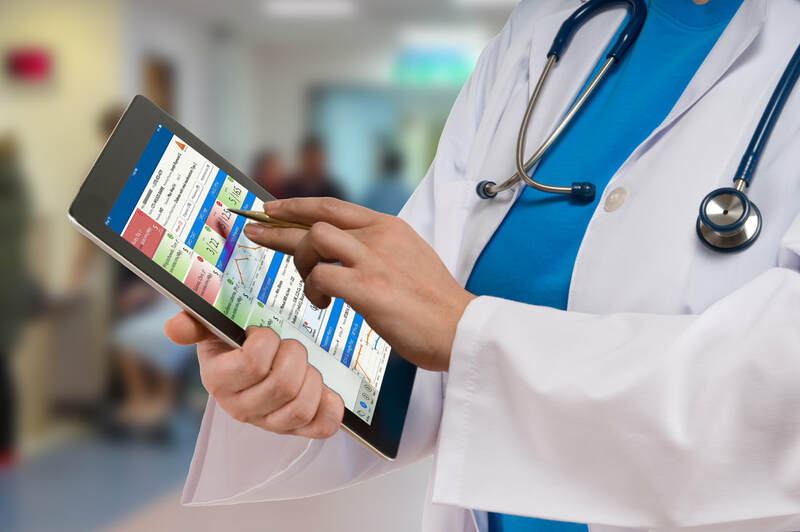 An onsite iPad is used to collect all initial data. ​On completion of the testing results are emailed to the employee. The results are also conveniently stored for future data recall - data is password protected. Contact one of our friendly staff today.